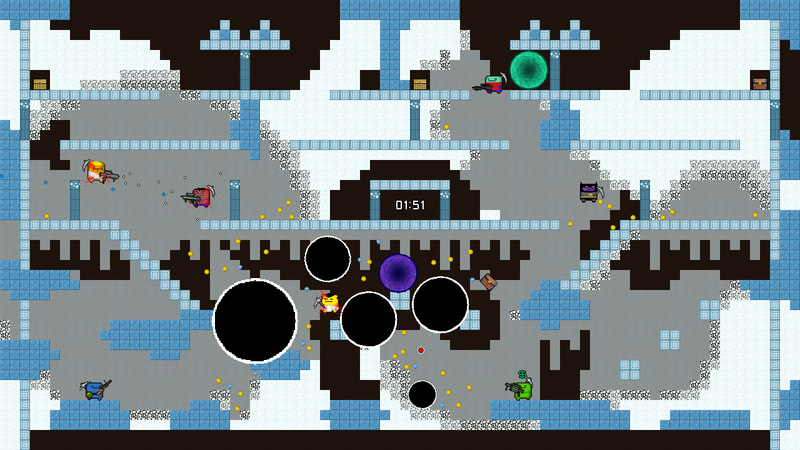 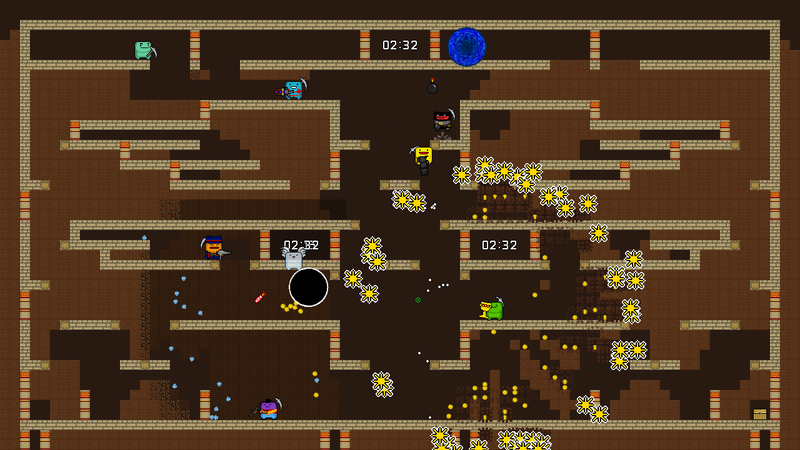 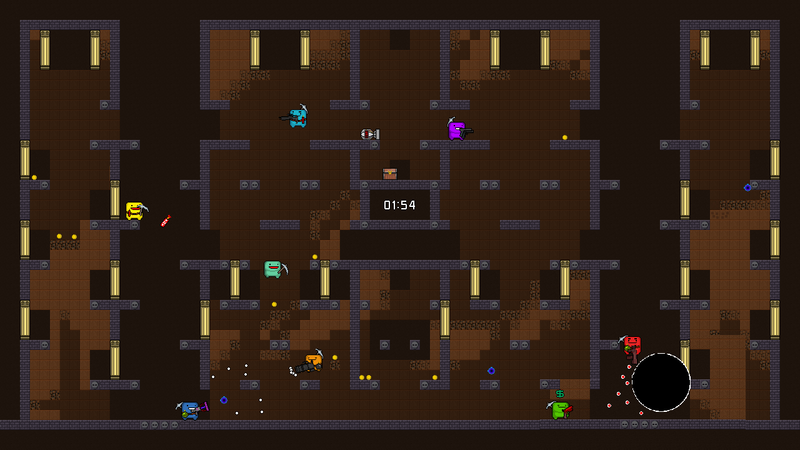 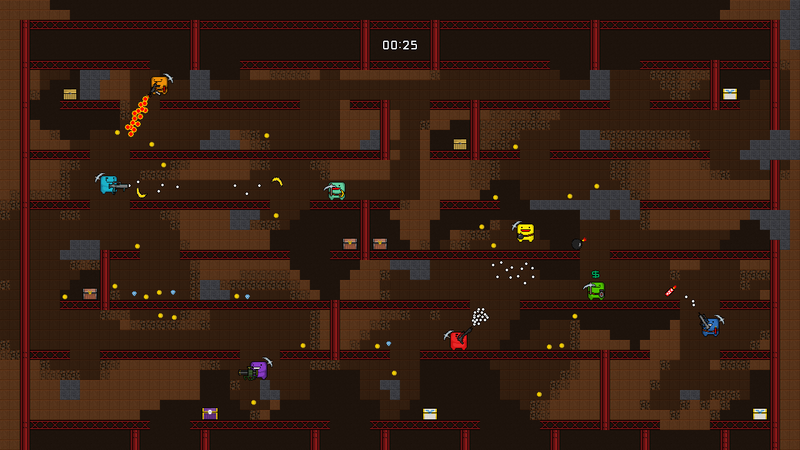 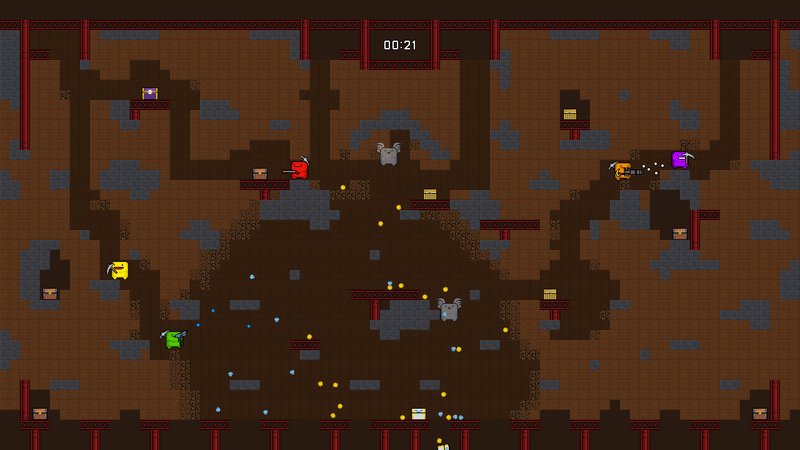 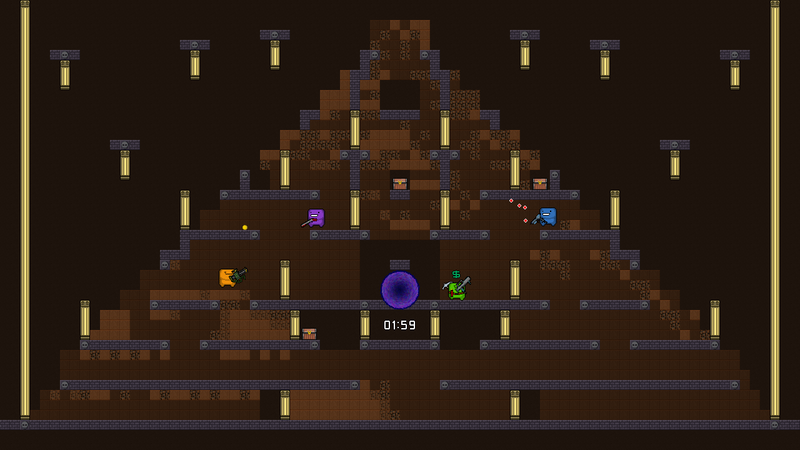 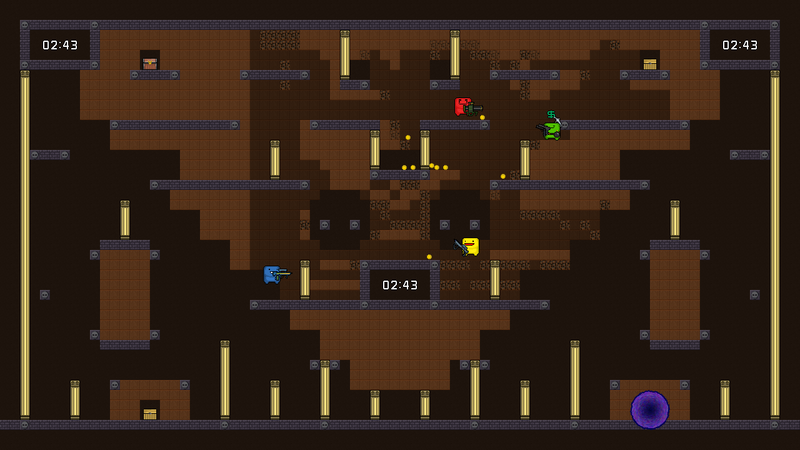 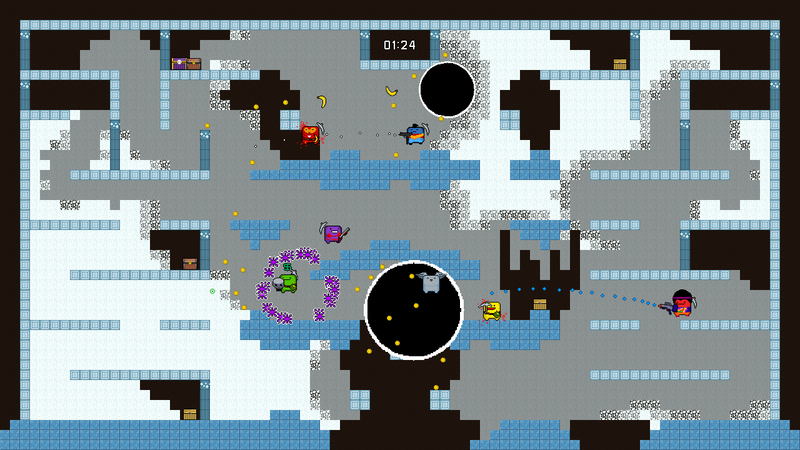 Miner Warfare is an explosive 2D local multiplayer experience. 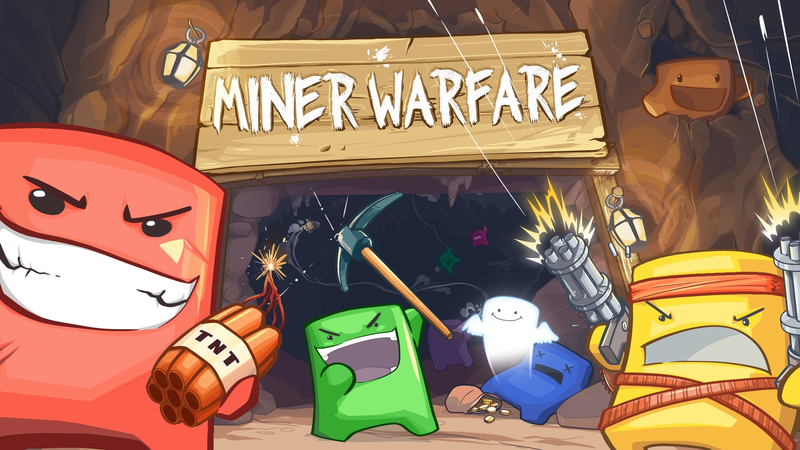 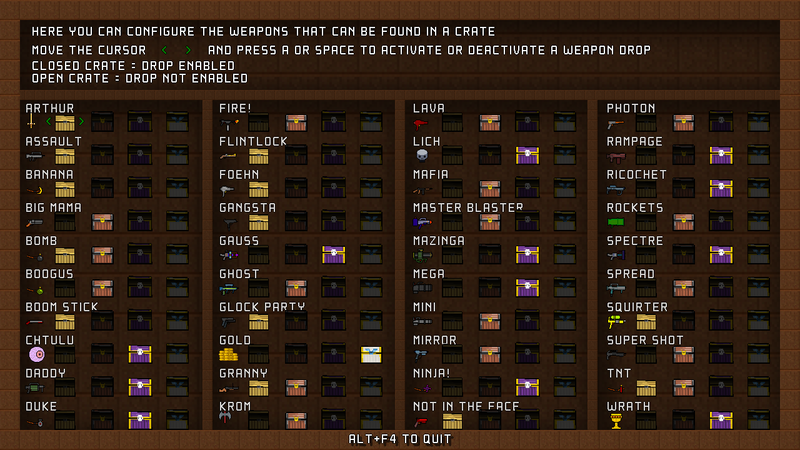 Up to 8 players will fight on the same screen, digging in the dirt using their trusty pickaxe, shooting with dozen of deadly weapons, all for the almighty gold. 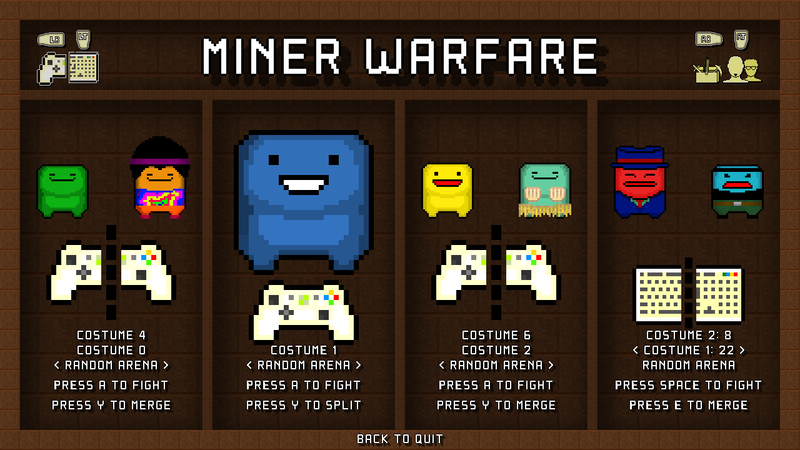 Four minutes to become the richest miner, four minutes to blast your enemies, four minutes in the ultimate mayhem! 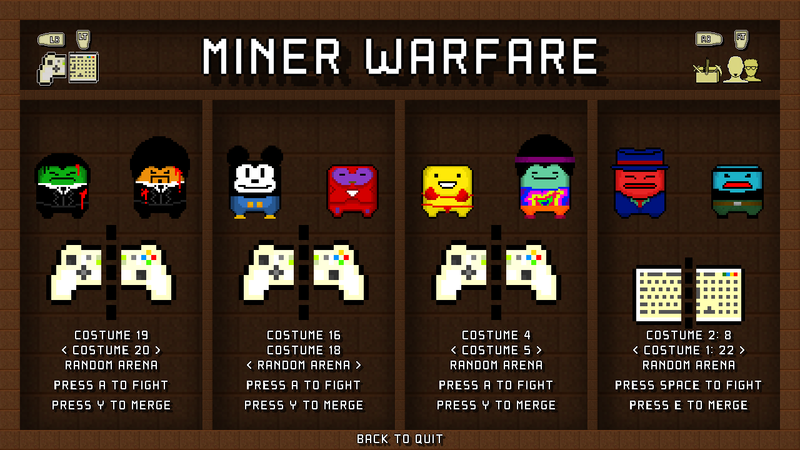 Miner Warfare was born because the team needed a competitive video game for lunch breaks. 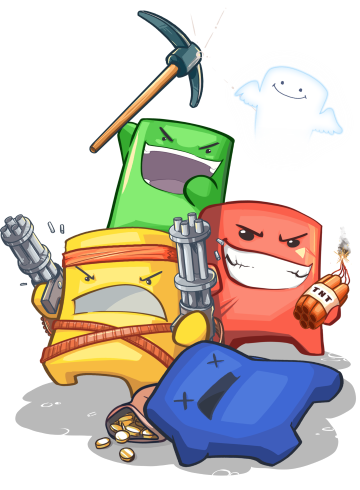 The perfect occasion to create it was given by the Svilupparty, an Italian meeting for video game developers, in Bologna. 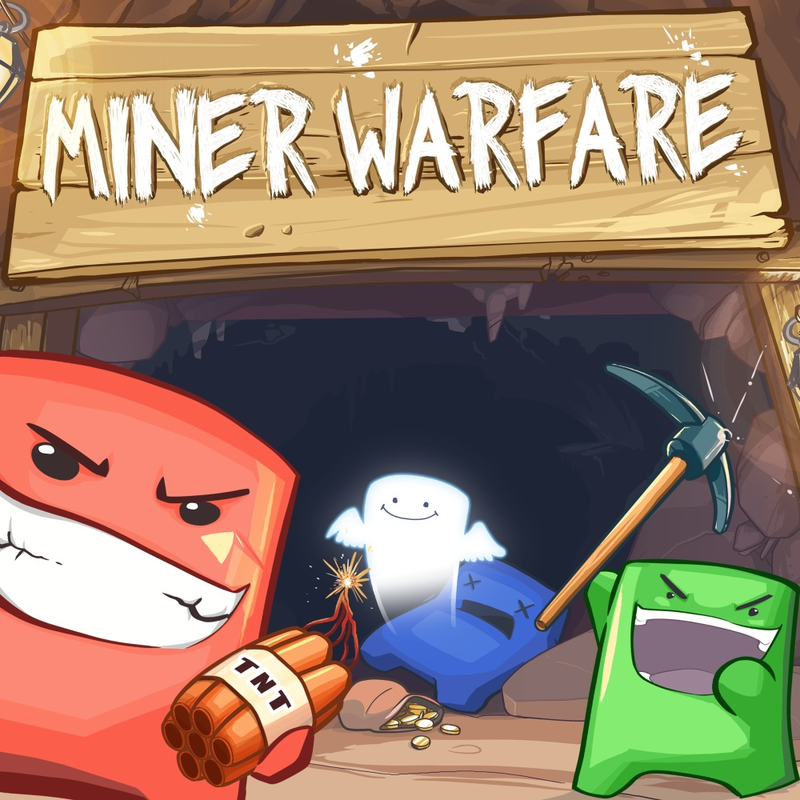 Without any Power Point presentation ready for the exhibition, the team decided to show the proof of their talent by creating a video game in only two weeks, Miner Warfare. 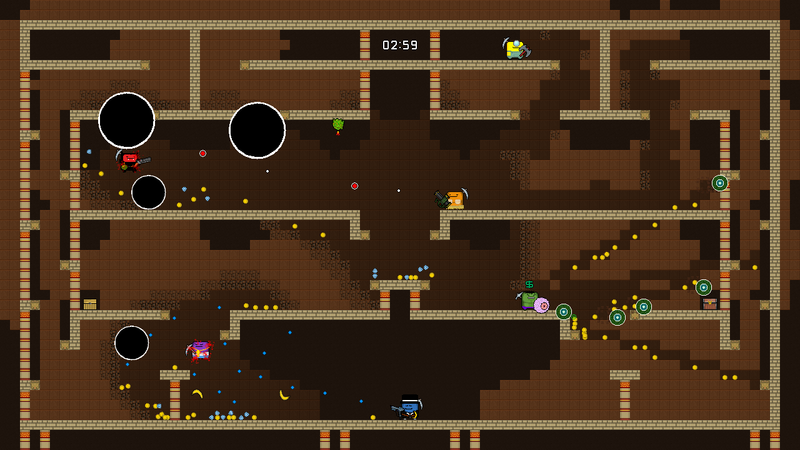 After a great feedback in Bologna, the game was finally published three weeks later on Xbox Live Indie Games. 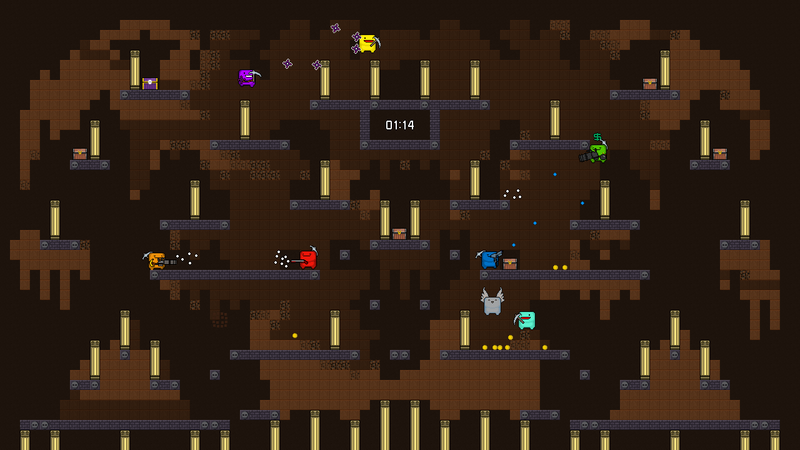 Local competitive multiplayer up to 8 players. 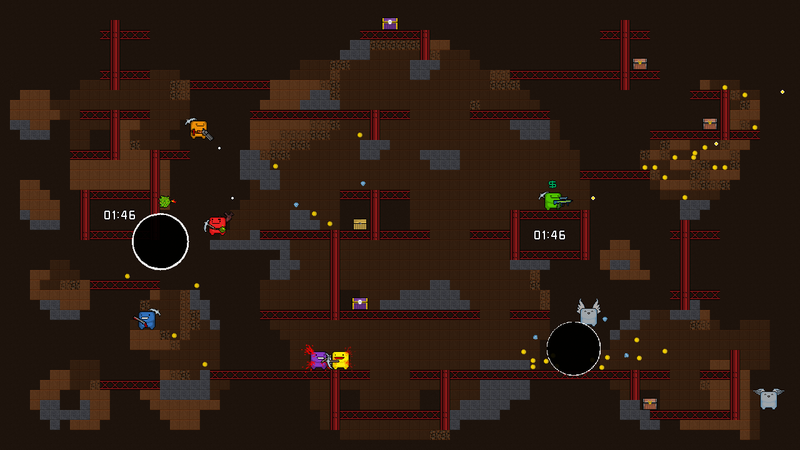 “2 players 1 controller” mode, where you can play with a friend on the same gamepad. 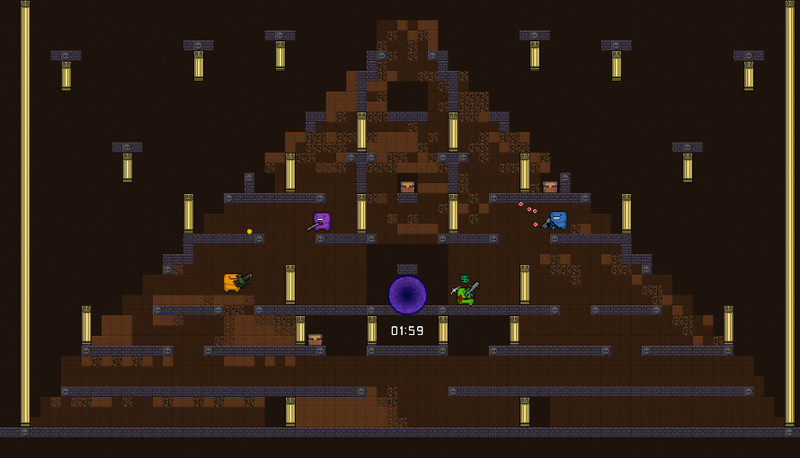 More information on Heartbit Interactive, our logo & relevant media are available here.